If you’ve got a sweet tooth, myblu™ Cherry Crush might well be the Liquidpod flavor for you. Loaded with the unmistakable tang and tartness of cherry, with a rich sweetness at its core, Cherry Crush is perfect if you’re looking for something a bit different to the usual tobacco or menthol vape. myblu™ Liquidpods are easy to replace: simply pop out your finished pod and click in a new one and you’re ready to vape! 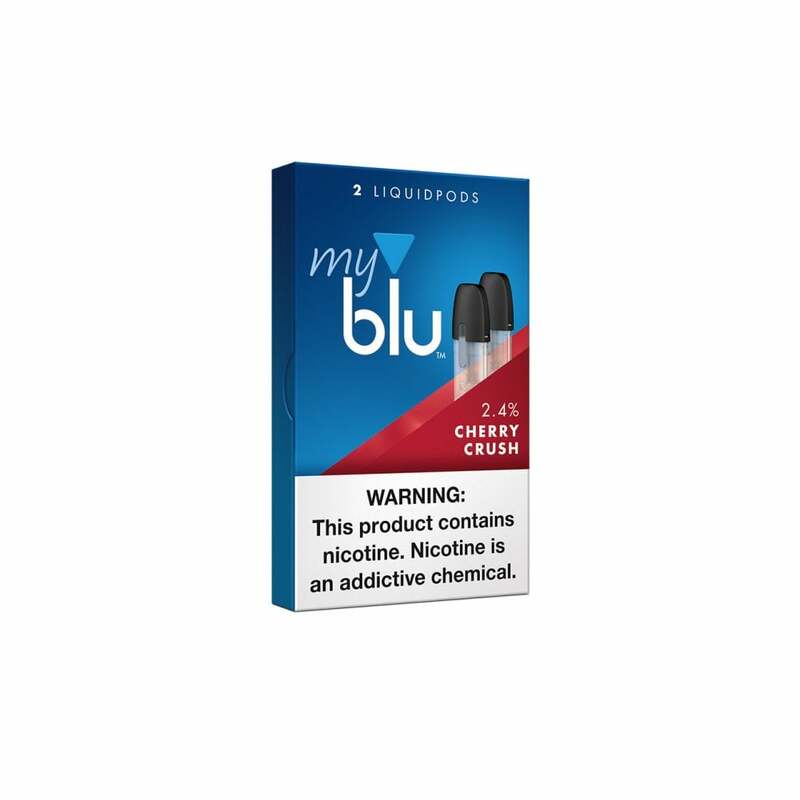 myblu pods have a 1.5ml vape juice capacity and come in a range of nicotine strengths. Their organic cotton wick gives you outstanding flavor and satisfying vapor production. Tastes like I'm fighting a cold - I don't know how else to put it. Very disgusting. I really l9ve the my blu pods. The taste of all of them are great, my favorite are cherry and blueberry. Easy to use and great vape and leaves me feelings like I had a real smoke. They are small and not big and bulky great for a female. My favorite flavor. Robust cherry taste. So satisfying. Please never stop selling it. These pods are the best that I have found yet. No leaks and the same hit every time. Excellent flavor and very easy to use. I wish there were more flavor options. Fantastic flavor and good vapor.